Transformation Partner Program with Google, working with Kiddom, TOSS in Tennesse, NSR Institute offers courses in PA, Onpoint at no cost. Education Elements is incredibly excited to be one of the first two organizations which will be part of Google’s newly created Transformation Partner program. Through this work, we will have the opportunity to work with innovative districts across the country that are thinking deeply about the next steps they can take to support student-centered learning in their districts. We started our partnership, not in the Mountain View HQ, but in Chicago, where we worked with four amazing districts to support them in developing a culture of innovation, followed by two sessions at ISTE: one for teachers on flexible content and tools and the other for leaders on our new Core 4 continuum. We love being part of Google’s work to support transformative learning experiences across the county. Read the EE and Google press release. Team dynamics sometimes hold us back rather than move us forward. We know there is a better way for district teams to meet, function, and make decisions, and that the changes we make to processes can lead to better academic results, greater teacher retention, and more thriving school systems. This course is based on the best-selling book The NEW School Rules: 6 Vital Practices for Thriving and Responsive Schools and our research and practice in organizational design, change management, and leadership. This course is hosted by the author Anthony Kim, the dynamic Education Elements team, and the Allegheny Intermediate Unit. Join us to start improving the way work happens in your district! If you are a leader in Pennsylvania and are curious about the course, learn more here. Education Elements is thrilled to deepen our collaboration in Tennessee with two new exciting partnerships. We will be working with the Tennessee Organization of Superintendents (TOSS) to support new and experienced superintendents across the state and we've joined the Tennessee Rural Education Association (TNREA) to support rural districts across Tennessee. 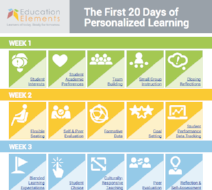 We can’t wait to support students, families, and schools across Tennessee, building on our current work with Putnam County Schools to design and implement personalized learning. We are always looking for more ways to support districts and schools here at Education Elements, which is why we're so excited to partner with Kiddom, a powerful K-12 operating system. The new partnership provides districts and schools with the option for a more comprehensive support system to enable personalized and student-centered learning, ranging from tools for in-class instruction, to school-wide initiatives, to district-level strategy. Read more about our partnership. Onpoint is a single number score that helps districts understand their personalized learning implementations. 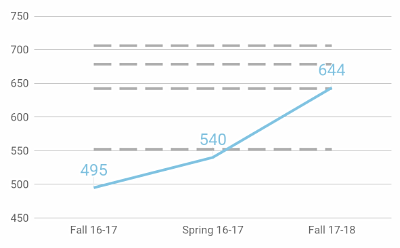 It tracks year over year progress and benchmarks your district against others in a similar phase of implementation. 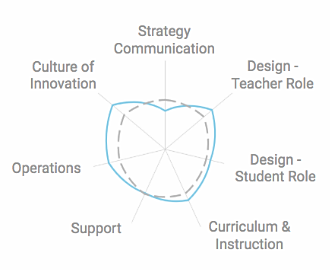 Onpoint is based on our Personalized Learning Implementation Framework that has guided implementations across 100 districts and 600 schools. It only takes about an hour to coordinate with your district team and schools to gather the data needed to generate your score and report. The Education Elements team does the rest–analyzes the data, identifies focus areas, and generates custom recommendations. All of this information is packaged up into an easy to read and easy to share report. For a limited time, districts can receive an Onpoint score and report at no cost. Request your score now. Stories are all around us. Researchers found that personal stories and gossip make up 65% of our conversation. Districts need to showcase their characteristics and stories through good storytelling. Vote for our sessions at SXSW EDU 2019!